Victoria Rolling Thunder is Victoria's only inline speed skating team. 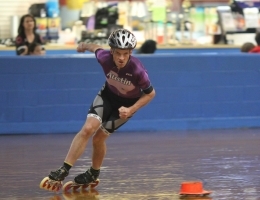 Skaters of all ages are welcome: men, women, girls, boys! Absolutely anyone who loves to skate and would like to learn to be just a little bit faster are welcome! 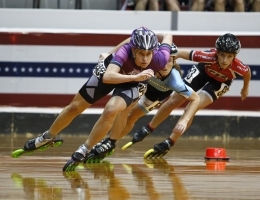 We do travel to meets to compete, but it is optional and skating is great exercise. 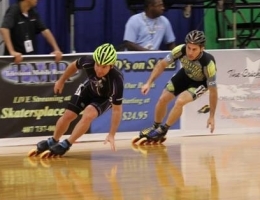 If you want to race or just want a fun new workout, speed skating could be for you. Cost is $5 per practice or $25 per month. Skaters must have their own skates and a biking or skateboarding helmet. If you would like more information about our speed team, contact us!